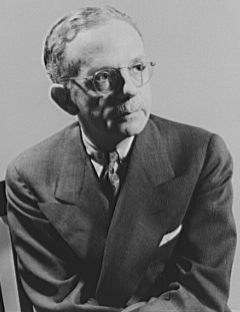 Walter Francis White (July 1, 1893 – March 21, 1955) was an American civil rights activist who led the National Association for the Advancement of Colored People (NAACP) for almost a quarter of a century, 1931–1955, after joining the organization as an investigator in 1918. He directed a broad program of legal challenges to racial segregation and disfranchisement. He was also a journalist, novelist, and essayist. He graduated in 1916 from Atlanta University (now Clark Atlanta University), a historically black college. In 1918, White joined the small national staff of the NAACP in New York at the invitation of James Weldon Johnson. He acted as Johnson's assistant national secretary and traveled to the South to investigate lynchings and riots. Of multiracial, majority-white ancestry, at times he passed as white to facilitate his investigations and protect himself in tense situations. White succeeded Johnson as the head of the NAACP, leading the organization from 1931 to 1955. He joined the Advisory Council for the Government of the Virgin Islands in 1934 and resigned in 1935 to protest President Roosevelt's silence at Southern Democrats' blocking of anti-lynching legislation to avoid retaliatory obstruction of his New Deal policies. Author: White, Walter Francis, 1893-1955. How far the promised land?